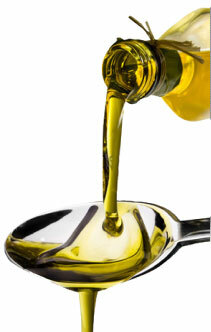 Extra Virgin Olive Oil is chosen for its taste because it is used to add flavour and enhance the taste of your food. By learning more about good quality olive oil and a good tasting technique it is possible to reawaken our senses and make a better choice when buying olive oil. Strictly speaking taste refers to those sensations perceived by the tongue. However, taste is also influenced by the reaction of the mucous membranes, by the flavour perceived after swallowing and by the mouth-feel or texture of the item. The harmony of the various taste components is very important. However, remember that freshness is paramount. Sight is not the important one of the important senses when tasting. What you see can be misleading. When olive oil is professionally tested, the colour is deliberately removed from the equation by placing the sample in blue glasses. The sense of smell is the most important sense in tasting. It is also the most sensitive. We can also differentiate between a considerable number of different aromas. With the sense of smell we will be able to perceive most of the fruity and green notes. It is important to remember that we can perceive combined aromas. Bitterness and pungency are the main attributes to be noted while tasting. Some tasters tend to confuse bitterness with pungency. The former is always perceived on the tongue and the latter usually further back in the throat. Peppery and bitter tastes and especially off-flavours, makes the mouth very sensitive, therefore it is best not to taste more than six oils in one session. If you start the tasting session with a strong and overpowering oil subsequent oils tend to taste stronger than they really are. To decide the order in which they should be tasted, it is important to screen the oils first by their aroma. Taste the milder oils first, followed by the more robust oils. Oils with obvious defects should be tasted last. Always refresh your mouth between each tasting with sparkling water or a slice of apple. Perfumes, deodorants, sweets, drinks like coffee, eating and smoking should be avoided at least 30 minutes before and during the tasting. Avoid washing your hands with perfumed soaps and don’t use perfumed hand lotions before a tasting session. Use separate tasting glasses for each sample and taste the oils in a clean, light and airy environment. Taste with a friend, make notes, compare and have great fun! Pour about a teaspoon or 5ml of oil in a glass and rotate the glass to wet the sides fully. Warm the sides of the glass with the palms of your hands to allow the aromas to escape into the glass. Cover the top of the class with your other hand to contain the aromas in the glass. After about one minute take the top hand off and bring the oil as closely as possible to your nose. Slowly inhale deeply two or three times in succession, making a mental note of the bouquet is it fresh or is there a trace of rancidity? First note the intensity of the aroma and assess the distinctive fresh olive fruitiness. The first impression is often the most distinctive and should be remembered. Other aromas are then sorted and noted. A good quality, fresh oil should exhibit firstly a definite olive-fruity aroma, followed by pungent, green and bitter (and other desirable) aromas. The stronger the flavour of the oil, the longer you’ll need to wait before the next tasting. One or two sniffs should be sufficient to recognise a succession of smells which recall other familiar aromas. If necessary, repeat after about a minute. Taste: The next step is to taste the oil. Take a small sip of approximately 2 to 3 ml. Roll the oil over the tongue and round the mouth, distributing the oil throughout the whole of the mouth. This is very important, because the perception of the four primary tastes (sweet, salty, acid and bitter) varies in intensity depending on the area of the tongue, palate and throat. With your lips semi-closed, inhale rapidly two or three times in succession to spray the oil onto your tongue and palate. The intake of air helps to release the volatile aromas, allowing them to pass up the nasal passages. Memorize the flavours, and then spit the oil out. If necessary, repeat the tasting, but only after you’ve rinsed your mouth with clean water. When you are finished tasting spit the Oil out. Clean the mouth with water and apples. That will enable you to taste multiple oils without compromising your judgement. Write a note of style, aroma and taste of the positive and negative attributes. Good quality oil should have no defects. Our Olive Oil Tasting Wheel gives a comprehensive list of all the positive and negative attributes. The first and more important rule is: What you think is good is good. 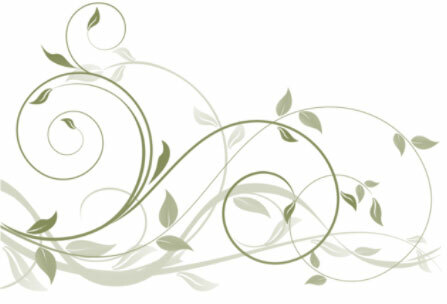 Olive oil is best chosen as you would choose a wine, by personal preference. 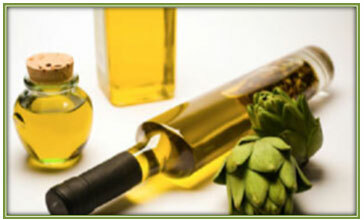 There is no right or wrong when choosing a good quality olive oil. Some people prefer light sweet oils; others prefer punchy oils with plenty of peppery notes, or choose two or even three different styles of oil for different culinary purposes.